Measurement and interpretation of key ultrasound parameters are essential to differentiate normal anatomy from pathology. By using Measurement in Ultrasound, trainee radiologists and ultrasonographers can gain an appreciation of such measurements, while practitioners can use it as a valuable reference in the clinical setting. 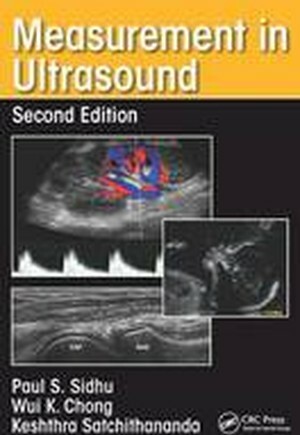 The book follows a consistent format throughout for ease of reference and features useful information on preparation and positioning of the patient for ultrasound, the type of transducer and method to be used, the appearance of the resulting ultrasound images and the measurements to be derived from them. Designed for frequent use in everyday practice, the book includes more than 150 high-quality ultrasound images annotated with key measurements and accompanied by concise explanatory text. Normal variants are provided, along with ranges for features that can change during development and in disease. This new edition covers relevant developments in ultrasound. Where appropriate, updated ultrasound measurements that have arisen are also included and key references are provided as an aid to further study.